This book features twelve original compositions especially written to develop improvisational as well as comping skills with an emphasis on rhythm. Each piece deals with a specific rhythmical task: offbeats; repeating motifs; syncopation; swing/latin hybrids; bebop; polyryhthms; 4/4-3/4 hybrids; 6/8; odd-metre (5/4 - 7/4) and is presented in order of increasing complexity.The audio CD-ROM´s included feature a superb rhythm-section (Henning Sieverts on contrabass and Mario Gonzi on drums) as well as author Peter O´Mara, who demonstrates each theme, comping as well as improvisation. The student can play along to the original tracks or just jam to bass and drums on CD 2. Another bonus are the midifiles, which can be incorporated into computer sequencing software for more flexibility. 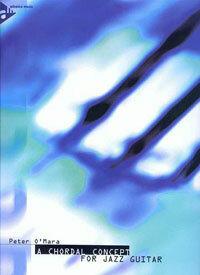 An essential book for the developing jazz guitarist! 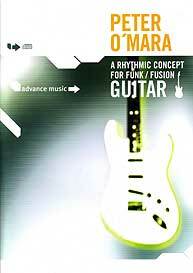 There are a lot of books on the market offering "licks" in the Funk/Fusion style but this book goes a lot further. 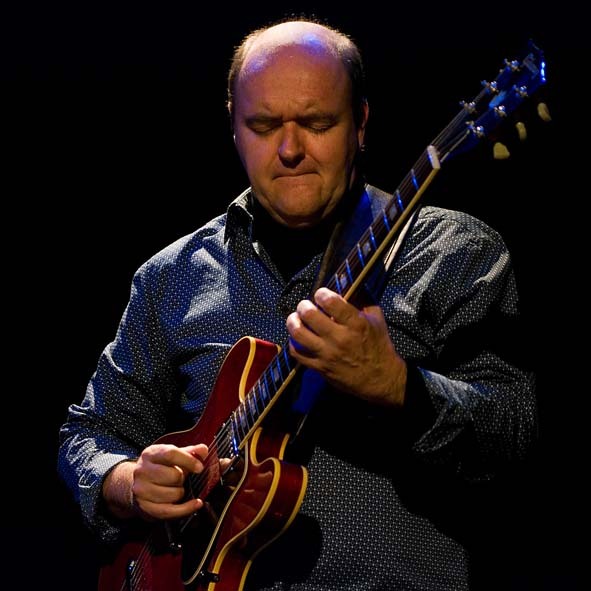 The 16 challenging compositions by renowned Australian guitarist Peter O´Mara cover a variety of tempi and grooves and are presented using a real rhythm section: Patrick Scales, Christian Lettner and Peter O´Mara (Klaus Doldinger´s Passport") to achieve a maximum of authenticity. Rhythm-guitar riffs are integrated into the overall groove and there is plenty of room for improvisation as well. The audio "play-a-long" tracks are presented in an order of increasing complexity. CD #1 contains complete recordings of all instruments so that you can hear how each track can sound. CD #2 omits all guitar parts so that you can "play-a-long" with the rhythm-section and create your own soli and rhythm parts. Midifiles of all compositions are also included on CD #2. 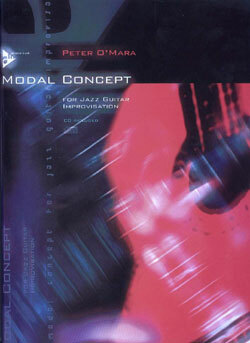 After the success of his first publication A Chordal Concept for Guitar, renowned Australian guitarist Peter O'Mara explores the depths of jazz improvisation from a guitarist's viewpoint.This new book covers a wide variety of topics: Scales, Intervals, Triads, Non-Tertial Triads, Four-Note Structures, Five-Note Structures(Pentatonic Scales), as well as useful practical exercises. Fourteen modes and their applications are covered in detail.The book also includes a play-a-long CD ROM (Audio files & Midi files) and features demonstrations by the author. A must for the contemporary guitarist!